EU foreign policy chief Federica Mogherini supported the idea of active cooperation between the European Union and African countries working as passage points for many illegal migrants going to Europe. The world is facing the return to a more critical way of understanding global politics, according to the EU foreign policy chief. "A way of interpreting international relations based not on cooperation and partnership, not on win-win solutions, but more and more often as a power game, as a zero-sum game… Look at the numbers, look at the demography, look at the richness — natural resources, of the people. You are a big global player and together, Europe and Africa, can shape the features of international relations in quite a revolutionary way," Mogherini noted, speaking at the conference "Africa Week." The EU foreign policy chief also stated that the roots of the immigration problem in the EU are conflicts and crises "caused exactly by inequalities and unequal distribution of resources." "I think we have understood from our history, both in Africa and in Europe, that if my neighbour has a problem I also have a problem. And the best way to invest in my strength is investing in my neighbour's strength," Federica Mogherini said. In September, European Council President Donald Tusk proposed to EU leaders during an informal summit in Salzburg to hold a joint summit with the Arab League in Egypt in February. 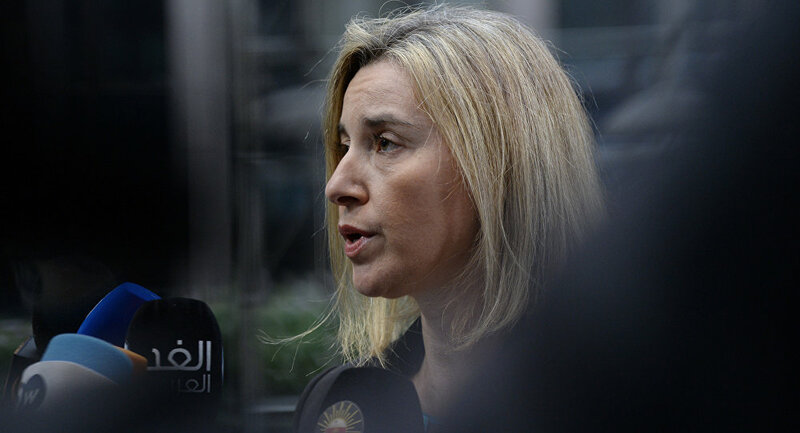 Mogherini supported the idea, saying it will help "building partnerships and cooperative approach with all partners, especially around the Mediterranean." Since 2015, Europe has been facing a migration crisis, with scores of refugees arriving from countries rife with conflict. Many of them are attempting to reach the continent via the Mediterranean Sea. Many members of the Arab League are used as transit countries for refugees seeking to flee their countries of origin.